It crashed while landing at homebase Cameri in bad weather. It undershoot the runway. Gladly the pilot Lt Giovanni Battista Sala could eject in time and was ok. 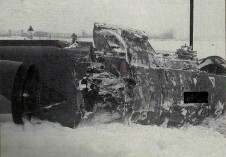 The wrecked fuselage was seen later on at a scrap yard near Rome in Febr 2004. 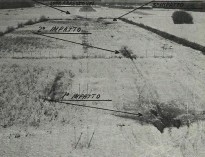 Beneath some photos showing the scene (1st, 2nd and 3rd impact with runway in sight), other photos show the wreckage and seat of the aircraft (Italian Safety magazine thanks to Eugenio Lo Verso). 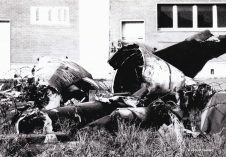 Beneath that a photo of the wreckage as it could be found for some time at Cameri (IFS archive). 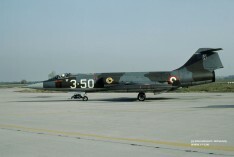 This Starfighter crashed at or near Erdek, which is near homebase Bandirma.. Both pilots were sadly killed being Hv. Plt. Ütgm. Tufan Akiz (30) and Hv. Plt. Ütgm. Hüseyin Olgun (30). The cause of the accident is unknown. 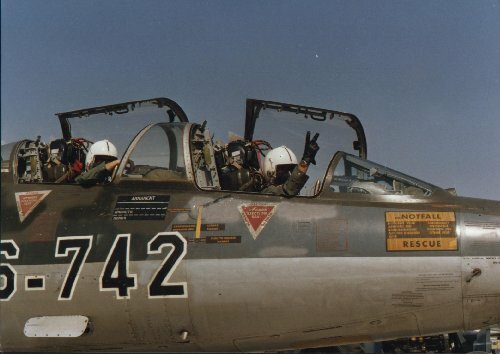 Beneath a photo showing two pilots preparing their flight in 5742 code 6-742, unknown when this was taken. It crashed at or near homebase Bandirma. Pilot was ok, cause unknown. 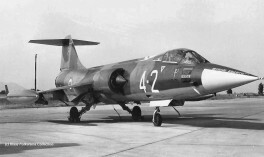 This Starfighter crashed into sea near Marano Lagunare (Udine, near Venice). The pilot, being last of a formation of three aircraft, was sadly killed. It was former Frecce Tricolori pilot Maj Pasqualino Gorga. The cause of the accident is unknown. 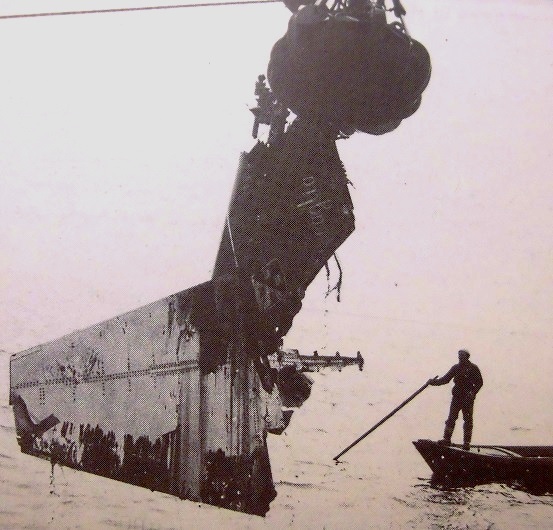 The photo shows the wrecked tail section fished out of the water. (Italian Safety magazine thanks to Eugenio Lo Verso) and the other photo shows the aircraft back in November 1983 already coded "3-50". 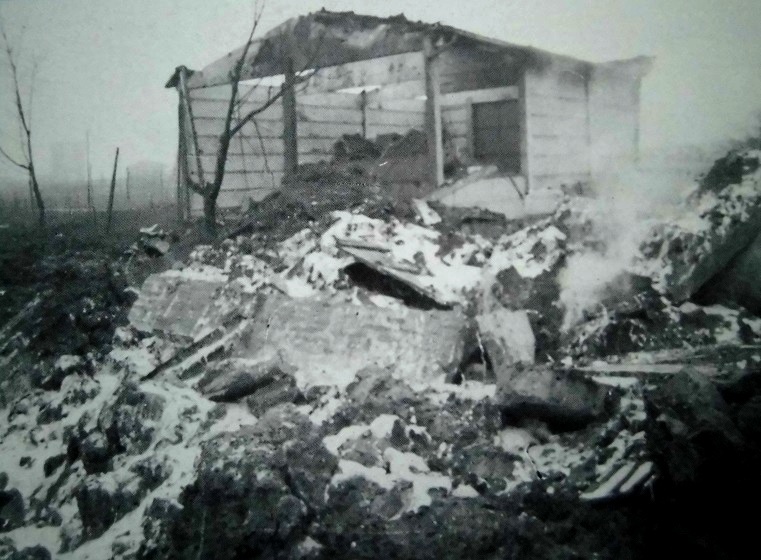 (USAF serial 56-878) It crashed on two empty houses in central highland near Fu Xing (village), not far from Da An, Taichung county. Pilot CHEN Zhi Heng ejected and was injured (burnt arms). Engine nozzle malfunctioned resulting in loss of thrust. 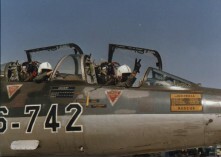 Sadly a few years later, 14 October 1992, this pilot was killed in an AT-3 accident. Crashed on finals near Decimomannu after a power-loss during approach. The engine caught fire and both pilots Hptm Wolfgang Wild and StUffz Thorsten Fassler (guest-pilot) ejected safely. 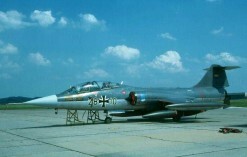 Beneath a photo taken mid 80s showing the aircraft still wearing the old MFG colorscheme with JBG34 markings. 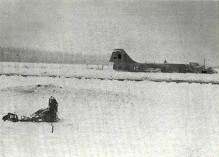 The wreck of the aircraft was dumped somewhere on the airbase and seen in April 1986 (see photos beneath, black and white photo by Chuck Steward, thanks to Roger Seroo). It crashed at the residential quarter (into a house) at Villaggio Argentina, near Rimini just before landing due to electrical failure. The pilot, Maj Alberto Biagetti, ejected just in time while the crash of the plane resulted in 3 civilians killed and 1 injured on the ground. The pilot stated later on: “My emergency situation started with a Fix Frequency Out followed, incomprehensibly by a complete electrical failure (AC out). This emergency situation anticipates the use of the R.A.T. that permit the use of n°4 Booster Pump. Considering that it was a supersonic test flight, lots of fuel was burned and fuel level was not high, and analysis afterwards proofed that in this condition, fuel remaining in the main tank (due to acceleration/deceleration) could not be enough, causing cavitations of the booster pump. That's what occurred that day, causing the engine flame out. 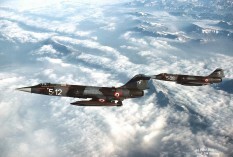 Photo beneath shows the aircraft MM6924 code 5-12 still in one piece, flying together with MM6796 5-06. Photo, taken in 1985, thanks to Peter Doll. (USAF serial 67-14887) Weather and wind direction suddenly changed at CCK, causing chaos for airborne aircraft. This Starfighter run out of fuel in this hectic situation and crashed. Pilot Wang Hua-Lung ejected in time and was safe. 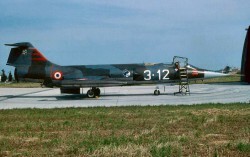 This aircraft, belonging to the training squadron, crashed near or at home base Murted. Pilot was ok, cause of the accident is unknown. Photo beneath shows the aircraft on the flightline of Murted Air Base, on 11 November 1985, five months before it was lost in the accident. Photo thanks to HJ van Broekhuizen. 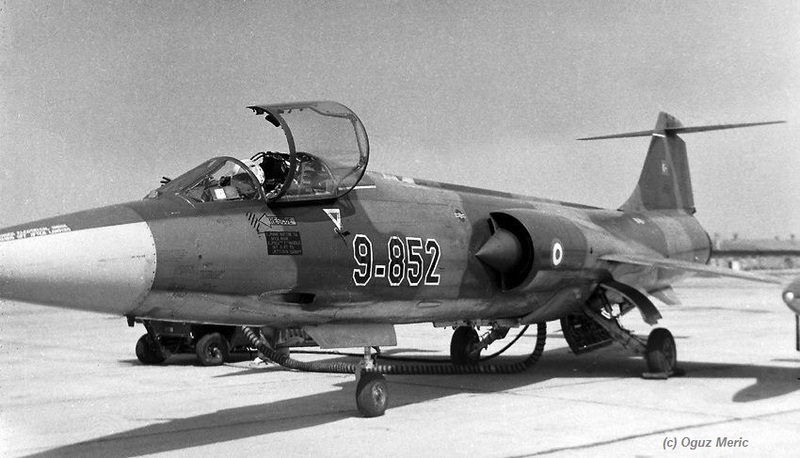 This former Dutch Air Force Starfighter crashed near or at home base Balikesir. Pilots were ok, cause of the accident is unknown. 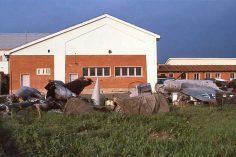 It crashed at a small village Nicolia, Mottola (Province Taranto) after encountering a compressor stall and subsequent loss of thrust during landing at Gioia. Pilot Maj Roberto Di Labio ejected safely. The wreck was seen at Gioia in July 1994. 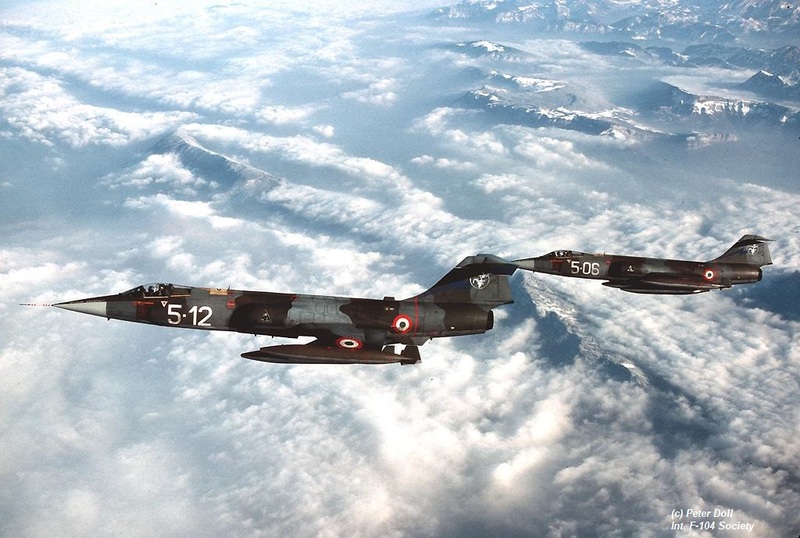 F-104G 8238 code "6-238" flew a routine mission with 7 other Starfighters when South East of the island Imrali, in the Sea of Marmara, it collided with F-104G 62-12239 code "6-239". The pilot in "6-238" Hv. Plt. Ütgm. M. Kamil Akcali (26 years old) was sadly killed in this accident. Later some parts of the crashed aircraft "6-238" and the pilot's dead body were recovered. He was burried in his hometown Adana. 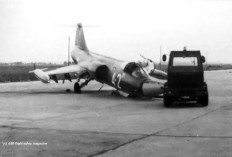 Aircraft "6-239" could land safely and could be repaired. It crashed near Bernbach, near Bad Herrenalb. The pilot Capt. Antonio Corselli ejected safely. 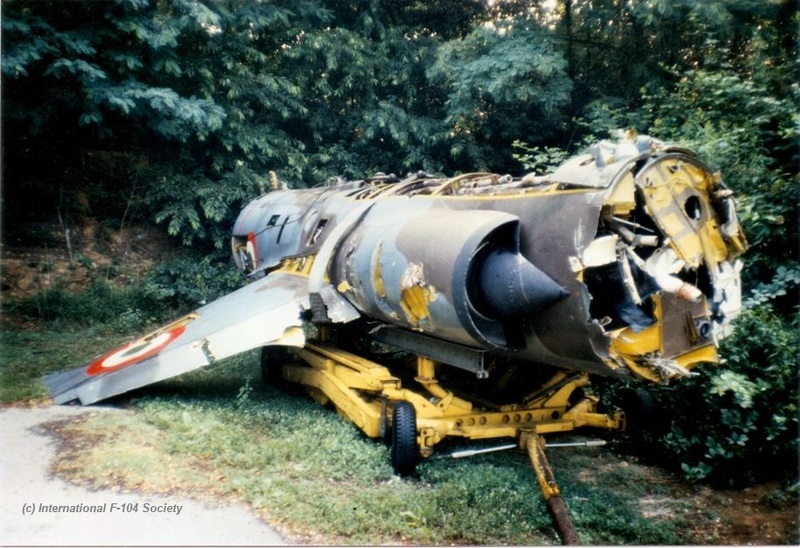 The aircraft was participating in a squadron exchange with 38th TRS based at Zweibrucken The cause of the accident is still unknown. Beneath a photo of this aircraft. 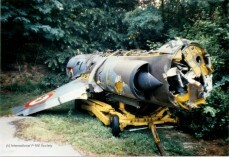 This trainer crashed near Bolu, Turkey. Pilot Hv. Plt. Kur. Bnb. Hasmet Burnak (40 years old) was sadly killed in this accident. The 2nd pilot was safe. The cause of the accident is unknown. (USAF serial: 63-8455) It crashed during takeoff from Pingtung after loosing hydraulics. Instructor Pilot and squadron chief counceler Ren Ker-Kan (35) was sadly heavily wounded and killed after ejection while Pilot Chang Min-Ren in front seat was seriously injured (reported not ejected). However he managed to recover enough from a fractured spine to continue his flying career after 1.5 years. Investigation report: After they started the engine, they noticed when they used the switch on the control stick to set the horizontal stabilizer on the tail to the take-off position, the green indication light on the instrument panel wasn't on, but they looked back, and saw the stabilizer actuated up and down, according to the switch. They and the ground crew discussed this, thought only the indication light wasn't responding, and the electricians would check the indication light circuit after they RTB. They used the switch to actuate the stabilizer, until the ground crew outside told them it was at the take-off position, looked back, and confirmed its position.They continued to check the other systems; everything was OK, and they told the ground crew to remove the chocks, then began to taxi towards the runway. When they were taxiing, they pulled and pushed the control sticks, looked back, and saw the stabilizer accordingly actuated up and down, but reminded each other the abort take-off procedure. Beside the runway, some student pilots in orange flight suits saluted them; they returned their salutes, and thought to amaze the students with a zoom climb after they took off. They accelerated on the runway, and at 175 knots, Zhang pulled back the control stick, but instead of climbing, nothing reacted; the stick felt empty, without any pressure. Zhang said "Abort, abort!" to the control tower, pulled back the throttle, deployed the chute, lowered the hook, and stepped on the brake paddles, but the plane didn't immediately slow down. He saw, in the rear view mirror, the chute broke off, and knew the end of the runway had equipment to arrest the plane: the BAK-12 arresting cable, the arresting net, and an earth mound. He noticed the plane hadn't slowed down, had reached 190 knots, ran over the cable, through the net, bounced up the mound, over the Gao Ping Xi stream, and slid down a sugar cane field for 700 m, before it stopped. He felt a spinal pain, then didn't feel anything below his waist. He was conscious, talked to Ren, but no reply. The plane was leaking JP-4, the tailpipe was smoking, but hadn't catch fire. While Zhang waited for the rescue, he smelled the JP-4, giving the feeling that the aircraft code explode any moment. By Saturday afternoon, the wreck was removed, the tail and wings were disassembled, and the wreck was disassembled into several sections.. 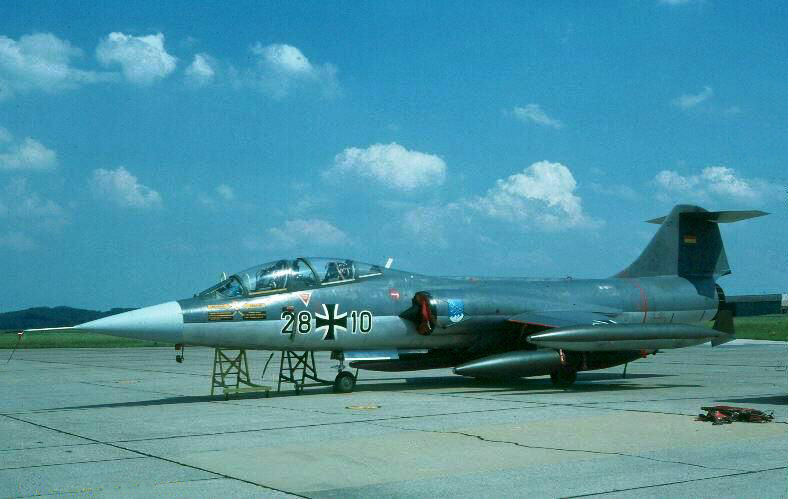 This Starfighter encountered an engine failure (compressor stall) South of Hopsten and managed to reach Hopsten Air Base where it made an emergency landing using his arrestor-hook. The pilot requested to land on "01" but the runway was open on "19" so he had to move to that direction to approach for landing. It landed high speed (BLC not working) and took the barrier after his brake chute failed with 200 kts. The pilot could step out of the aircraft unhurt. Afterwards it was declared damaged beyond economical repair on 8 October 1986 mainly because the end of the F-104 operations within JBG34 was near. 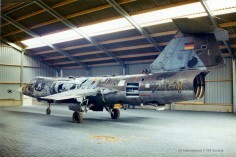 The aircraft stayed at Hopsten where it was used as BDRT or fire-practise airframe. In 1995 it was cut in three parts and damaged heavily due to CFE agreements and sold in parts. In October 1995 it arrived with PS Aero at Baarlo where they tried to weld it all together again, but the challenge was too big and lots of good F-104 fuselages were obtained via VEBEG soon after so they decided to have the 22+39 being scrapped by a local scrap dealer in May 2003. Beneath a photo taken in a bit shed at the PSAero location after the remains had been welded together. 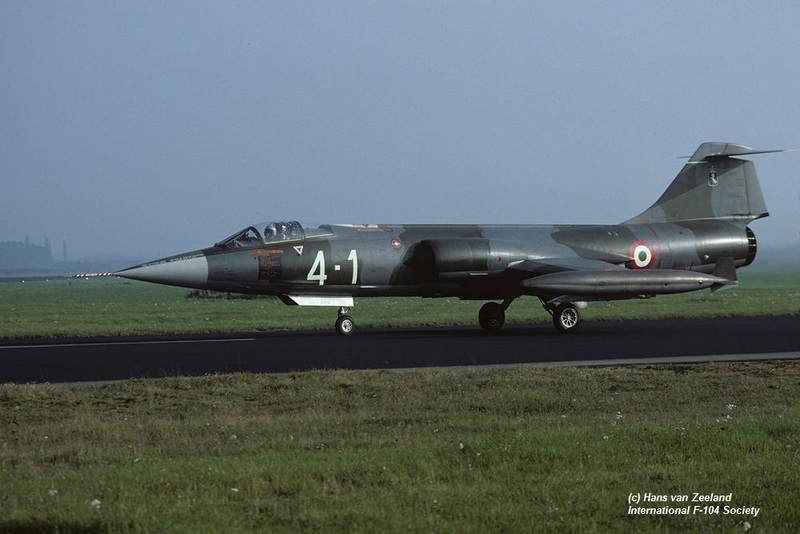 This F-104S struck the Monti di Pietralunga mountain and crashed near Perugia (Umbrian region) for an unknown reason. The pilot, 9 Stormo commander, T Col Marco Cantarini was sadly killed. The accident did not happen on the 25th as some have reported). 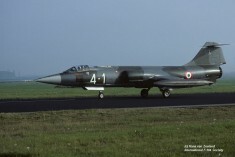 Beneath a photo taken by Hans van Zeeland at Twenthe when the aircraft participated in a squadron exchange in October 1985. 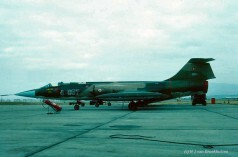 (USAF serial 62-12242) It was missing during a night mission near Makung (ex serial 5628 and crashed into sea. Pilot Wu San-Fa (31) was declared missing and not recovered for six months, officially declared killed. The cause of the accident is unknown. 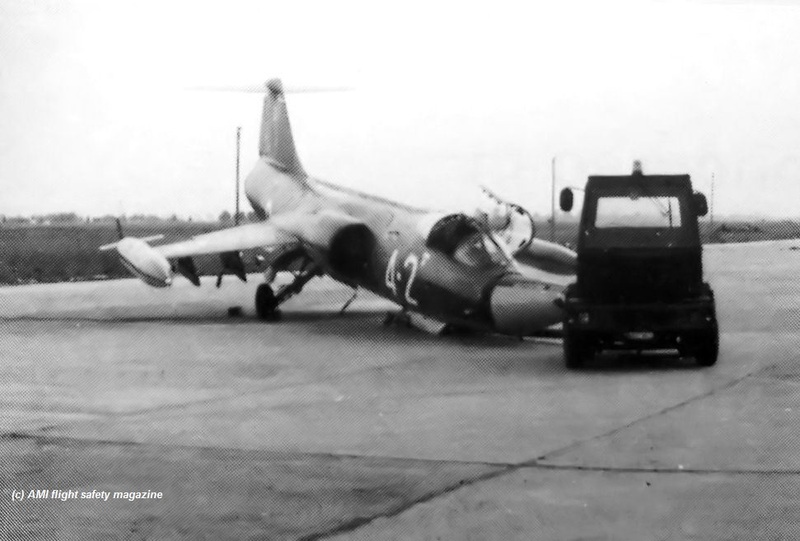 During unknown situation on the flightline this aircraft was severely damaged by falling on its nose (front wheel collapse) due a towing tractor. It was declared Cat.3 damaged and put in storage at Grosseto Air Base for a while. There was no pilot involved in this accident. 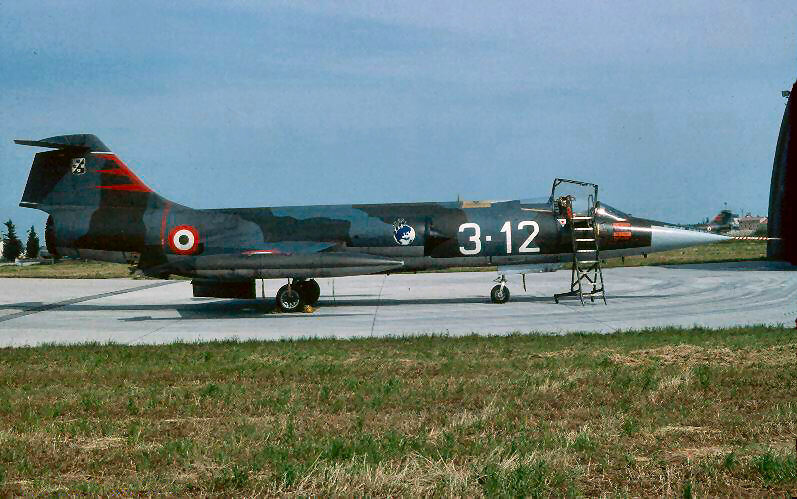 Lateron this Starfighter was transported to Aleniain Caselle for repair and upgrade to F-104S/ASA. Beneath photos taken of the aircraft in 1986, the last one showing the towing tractor and the collapsed nose wheel. 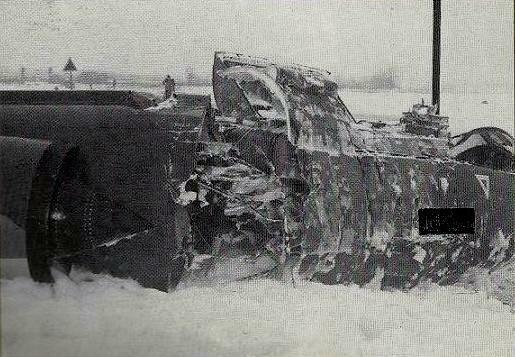 It looks like the tractor pulled the aircraft while it was still with its mainwheels inside the anti-roll blocks.